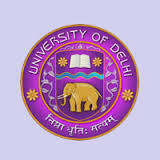 Delhi University (DU ) Engineering Admission exam is been conducted by University of Delhi which was established in the year 1992 and is one of the finest seats of learning in the world. The University has several colleges, faculties, departments and recognised institutes spread all over the attractive national capital territory. The University is endowed with a large pool of intellectual resources in diverse fields of learning. DU provides various UG & PG courses which offers admission in regular, private and distance programme. The General Category candidate should have an aggregate of at least 60% (class XII) In four papers PCM including English. Candidates have to pass the qualifying examination obtaining minimum marks as specified for each of the courses. The candidates who have appeared for improvement in the class XII examination of 2017 shall not be considered for admission in the current year. Candidate must produce the confirmed result and mark sheet of the qualifying examination on the day of the Group Discussion and Personal Interview to be eligible for admission in BMS/BBA(FIA)/ B.A (Hons) Business Economics programs. The candidates who do not have confirmed mark sheet will not be entertained under any circumstances. to apply through the Foreign Students Advisor as per the University of Delhi rules. The online application registration for admission to the B. Tech courses of Delhi University will begins in the month of April, 2019 tentatively. The Fee payment can be done through online and offline. Online can be paid through internet banking/debit card/credit card. Offline the candidates have to fill the application form and send it along with the DD in favour of “The Registrar, University of Delhi” payable at Delhi. Self-attested copy of Identity Proof of the applicant (maximum size: 50kb, Formats: JPG/ JPEG/ PNG). Passport or College identity card. Self-attested copy of Class 10th Certificate (maximum size: 100kb, Formats: JPG/ JPEG/ PNG/ PDF). Self-attested copy of Caste Certificate, if applicable (maximum size: 100kb, Formats: JPG/ JPEG/ PNG/ PDF). MCQ based entrance test will be conducted at centres identified by the university. The written entrance test of two hours duration will be based on mathematics, reasoning and analytical abilities at 10+2 levels. Admit Card will be available online form the month of May 2019 ; candidates have to visit the UG admission portal and print-out the Admit Card. The print quality of the admit card should be clear as it will be required for the verification propose before entering the examination hall. The results will be declared in the month of 1st week of July, the score and ranks in the merit list that is prepared on the basis of the performance in the examination. The request for obtaining a copy of the ORS (OMR Response Sheet ) by the candidate concerned must be made within 7 calendar days from the date of the declaration of the result to the University in the prescribed format along with a fee of Rs.500 /- per paper. The Department will upload the answer key of an entrance examination conducted for admission for various courses of study within 24 hours from the conclusion of the entrance examination on the official website of the University. The candidate is required to visit the website to check the answer key vis-a-vis the question paper used. In case of any discrepancy/inconsistency/error vis-à-vis the question paper and answer key, the candidate concerned can register a complaint within 48 hours from the time of uploading of the answer key. The candidate is required to get the application form verified by the Principal/ HOD of the concerned college/department of the University. The candidate is required to attach to a self-attested copy of the admit card/admission ticket for the entrance examination under reference at the time of submission of the application form. Payment is to be made in the form of a demand draft drawn in favour of “The Registrar, University of Delhi” payable at Delhi on all working days. No application for obtaining a copy of the ORS shall be accepted after the stipulated time. Candidates will be interviewed and last admission will be done on successful confirmation of documents. The determination of cut-off marks will be done on the basis of the candidate’s past experience and class 12th result of the school boards. The candidates will be notified about the cut-off marks through the official website of the University. After the announcement of cut-off lists by the University, the candidates are required to report to the college of his/her choice for admission. Candidates are required to get the original document along with 2 sets of self-attested photocopies. Candidates have to select one of these cities for appearing in the entrance examination through the online registration, after completion of the online registration, the chosen city will not be changed. The University reserves the right to change/cancel any Centre of examination without assigning any reason.